Case: 42 mm diameter. Bead blasted steel case. 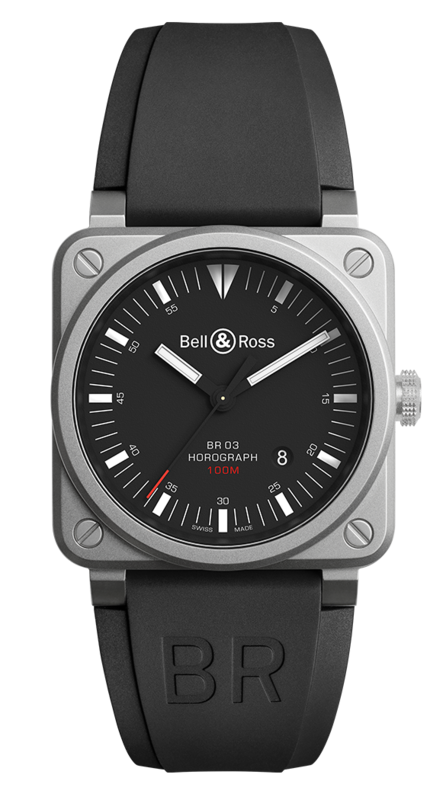 Dial: black matte. Indices and hands covered with Superluminova®. Straps: black rubber and ultra-resistant black synthetic fabric. Buckle: pin. Bead blasted stainless steel.